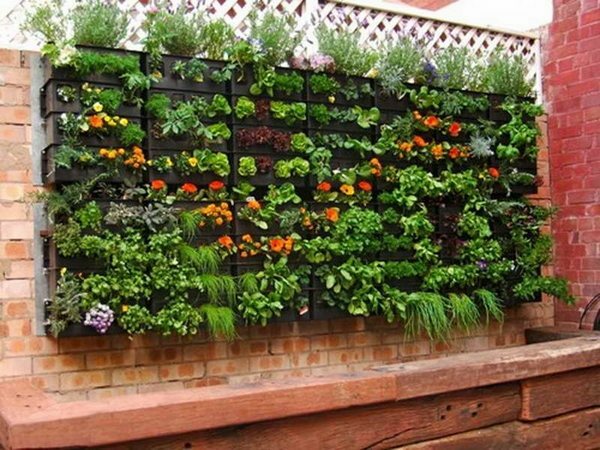 You are definitely acquainted with the concept of vertical gardens, especially if you live in an urban area where space is limited. 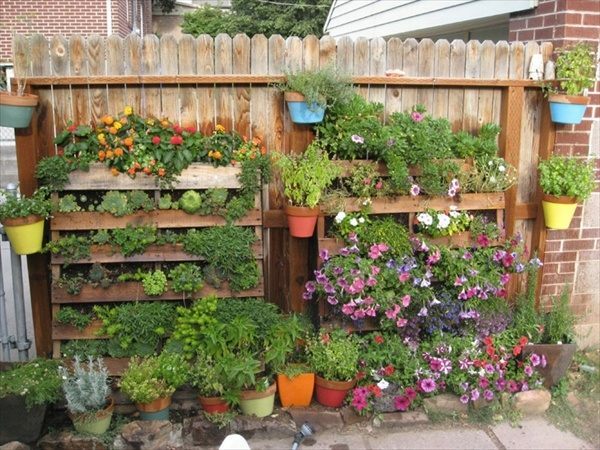 Unlike traditional gardens, vertical gardens take very little space, but can accommodate a lot of flowers and greenery. 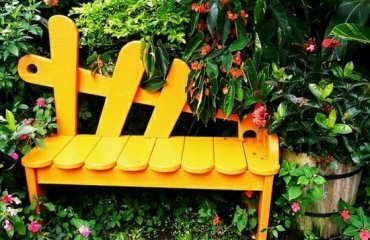 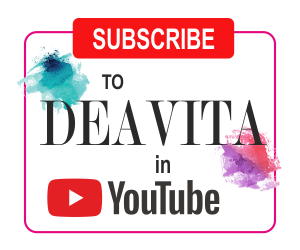 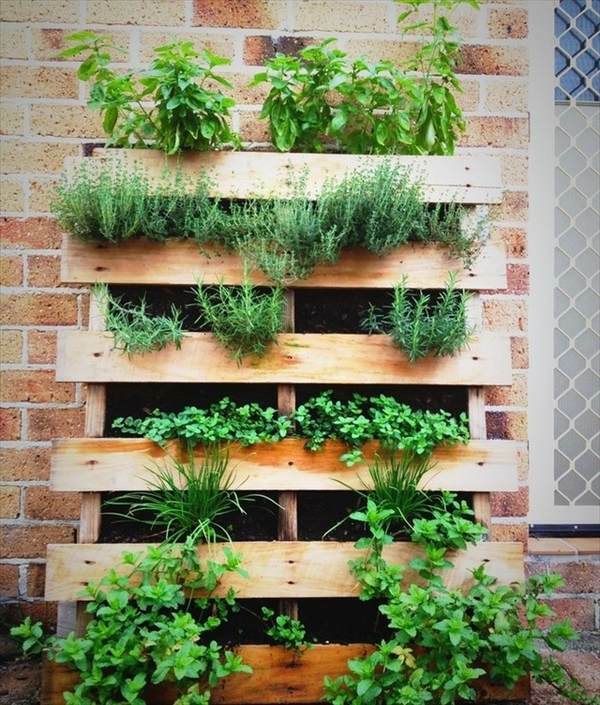 We will show you a fantastic DIY project and give you instructions how you can build a vertical herb garden from a wooden pallet. 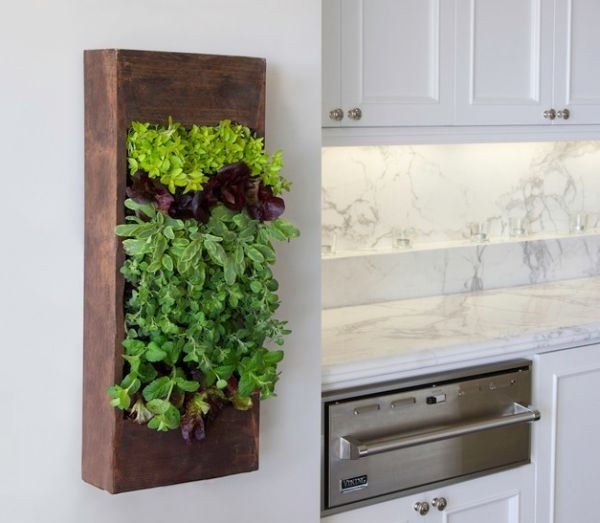 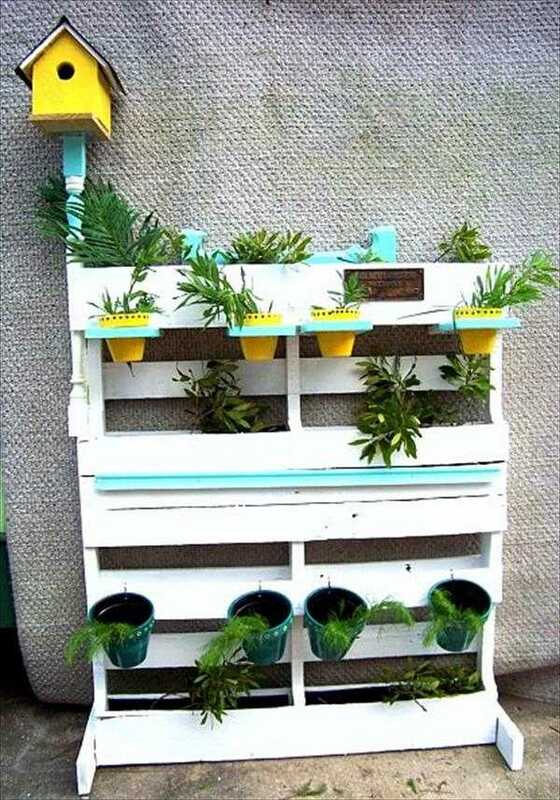 It is quite cheap and cost effective to build a vertical herb garden by yourself especially if your outdoor space is limited. 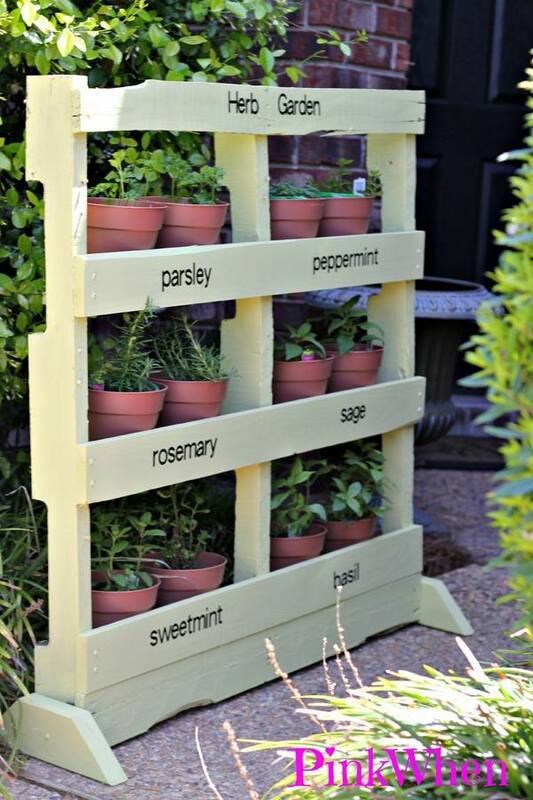 A lovely herb garden will be an awesome decoration for your balcony or patio area, besides the pure practical benefit that you will always have an assortment of fresh herbs at hand. 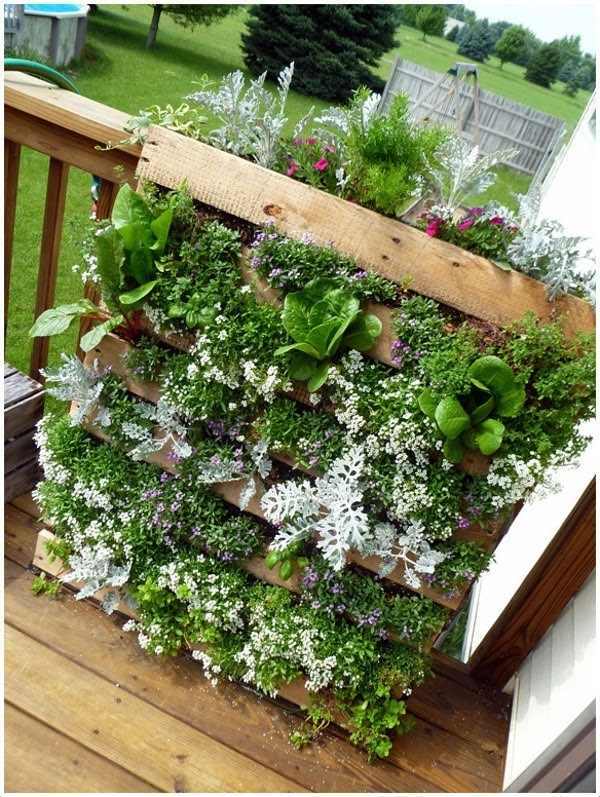 Moreover, it does not take a lot of effort and time. 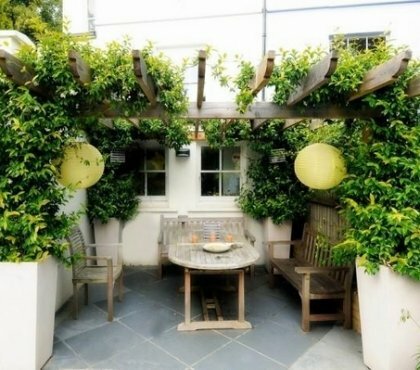 The whole project can be completed in an afternoon with very simple materials. 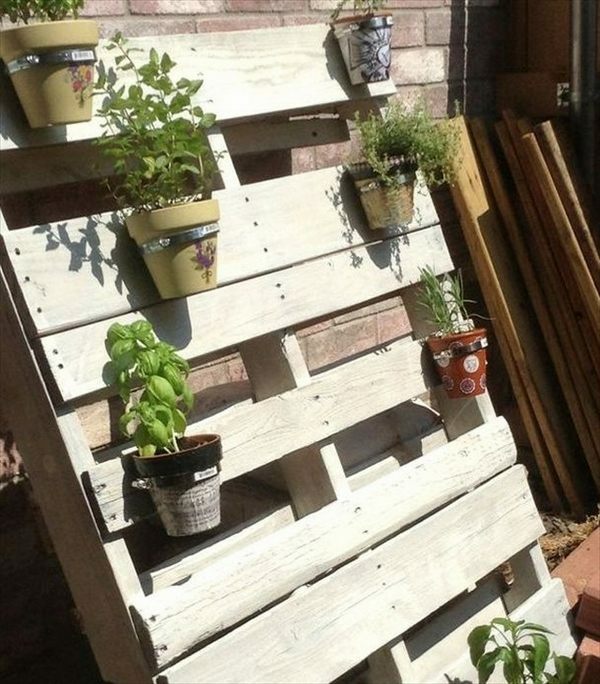 What you need is one used wooden pallet (or two, three, if you have the space), a level, a Kreg jig, nails, paint, flower pots and some vinyl labels. 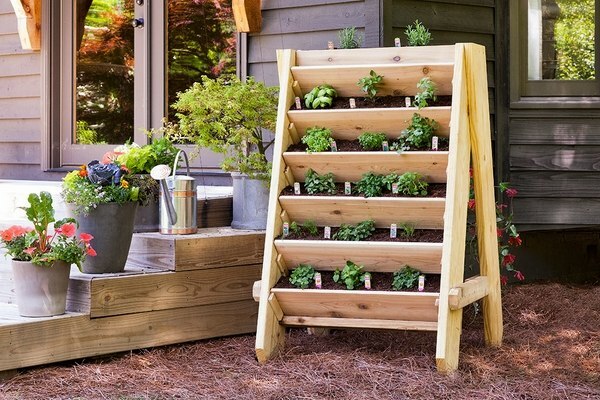 Optionally, you may fill the shelves of your herb garden with soil and plant the herbs directly. 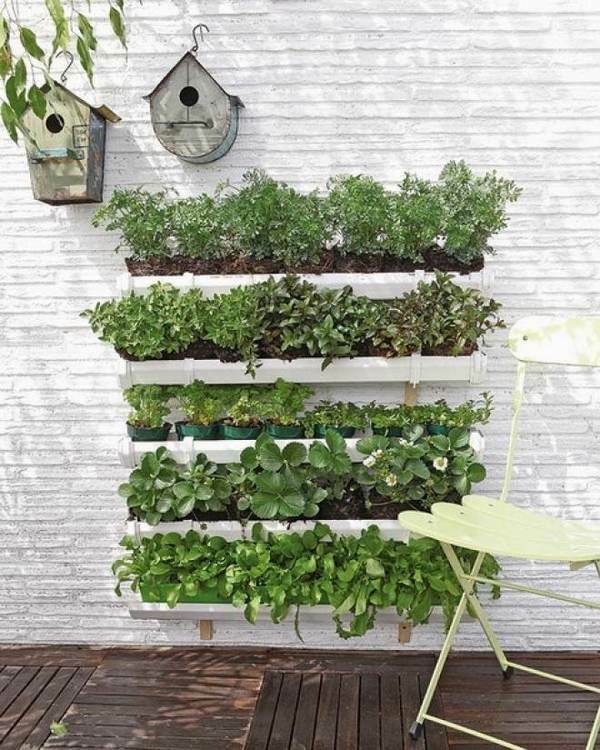 If you wonder what types of herbs to grow – take our tip – basil, parsley, rosemary, thyme – these are all perfect for a vertical gardening. 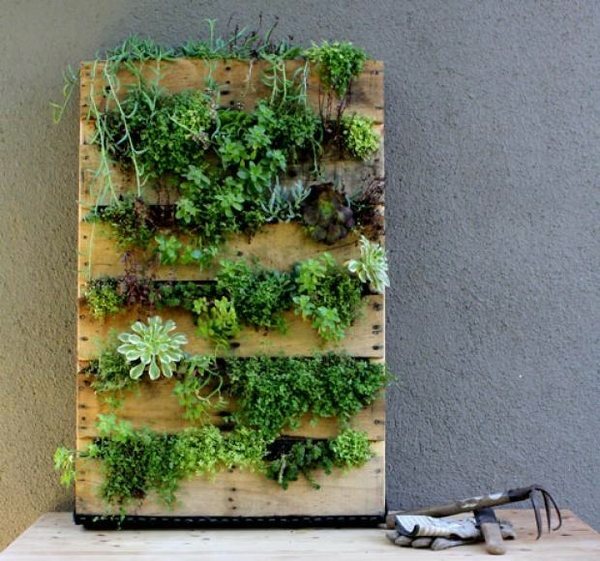 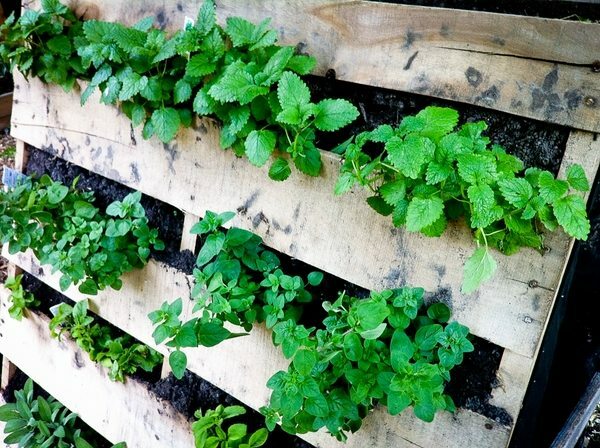 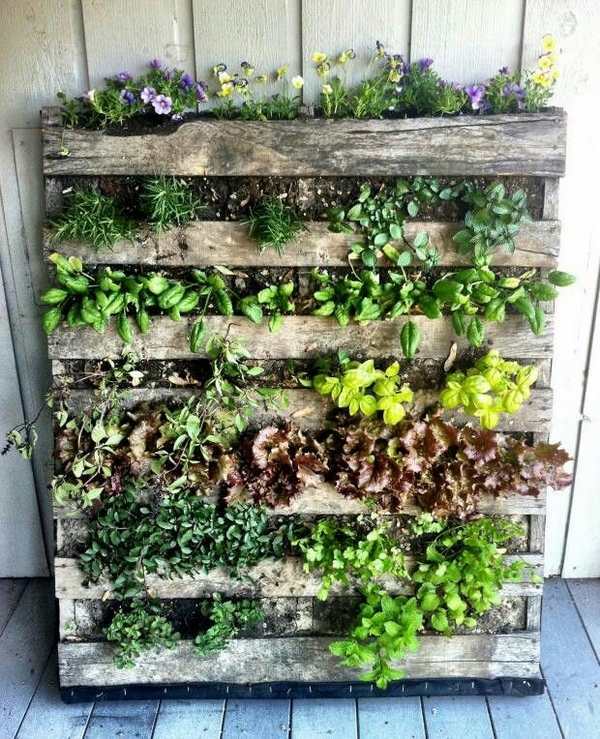 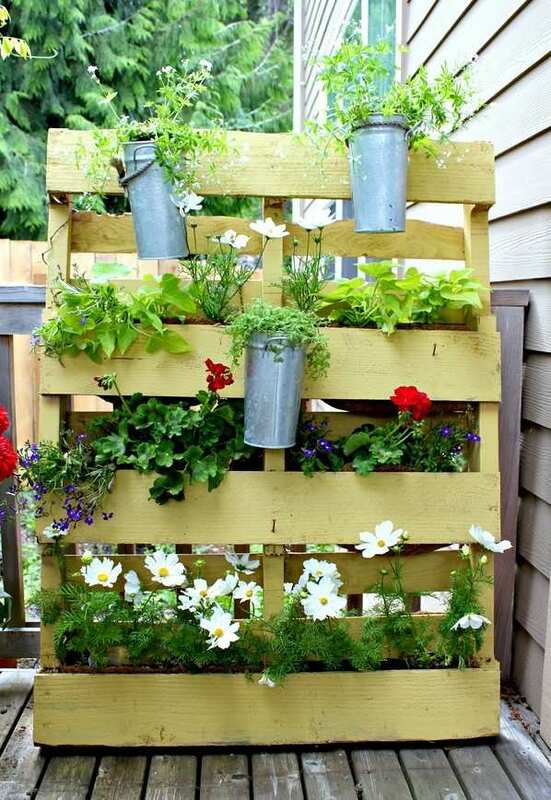 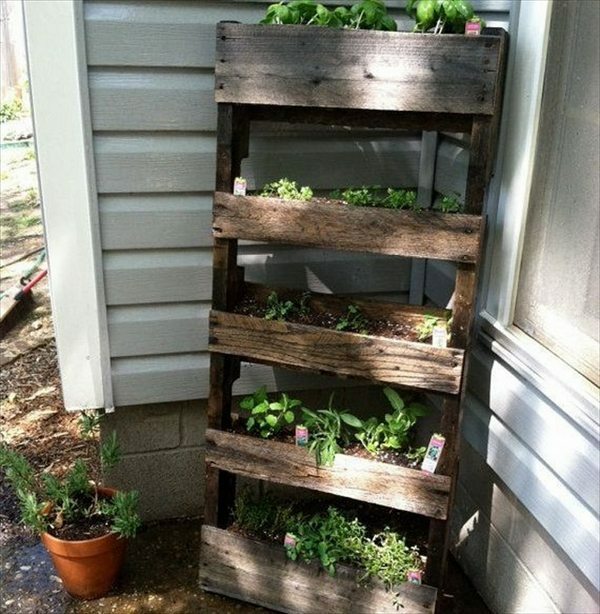 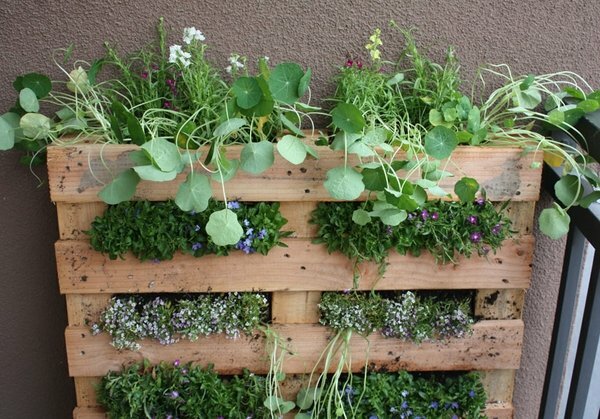 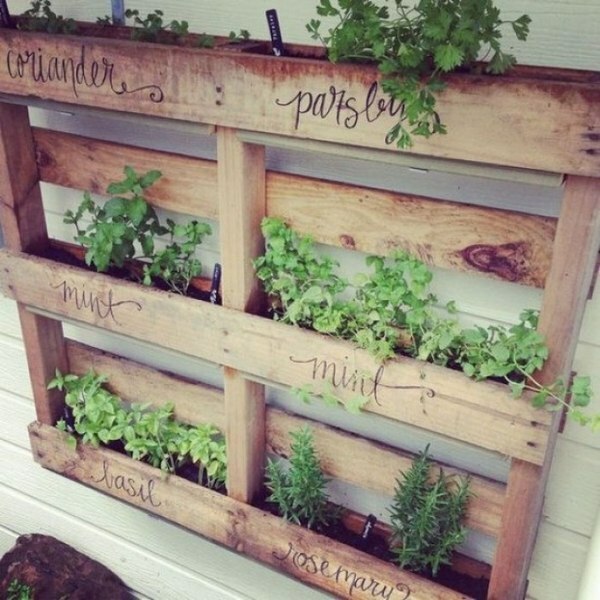 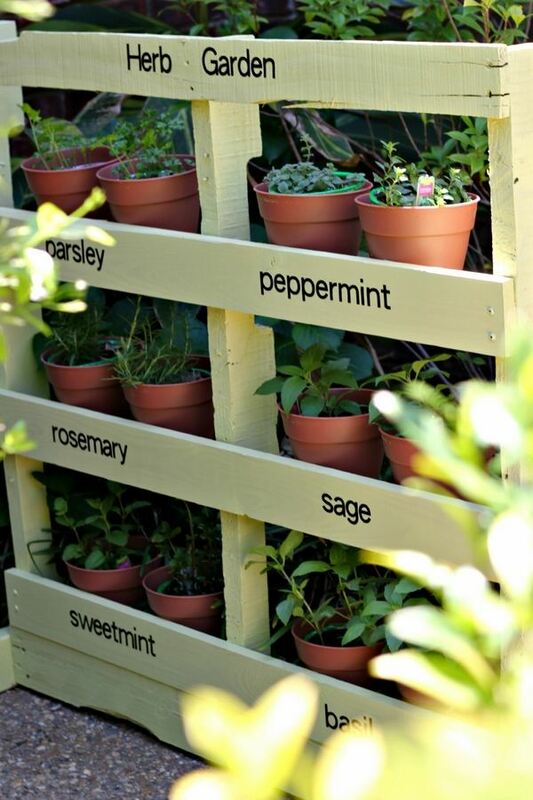 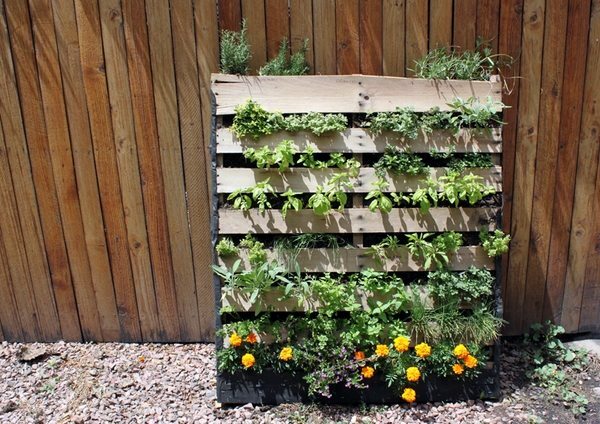 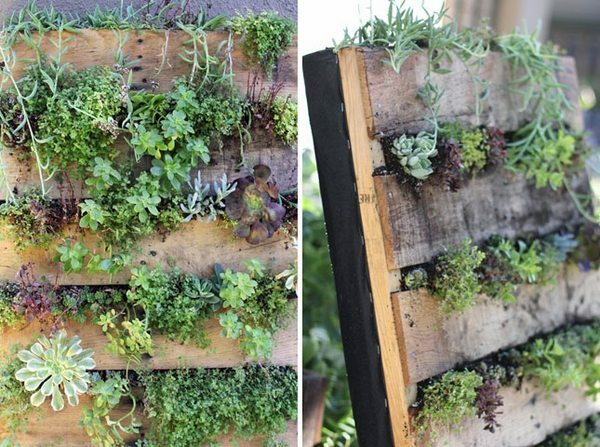 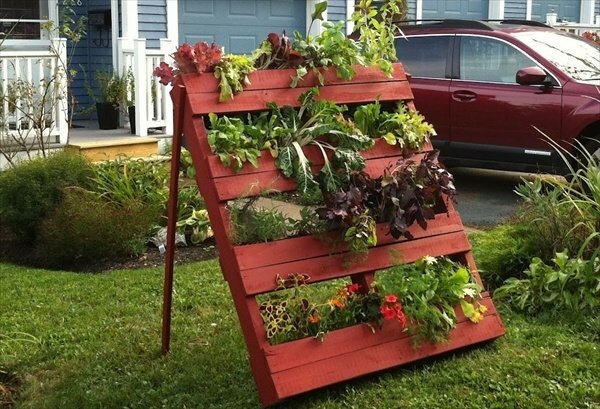 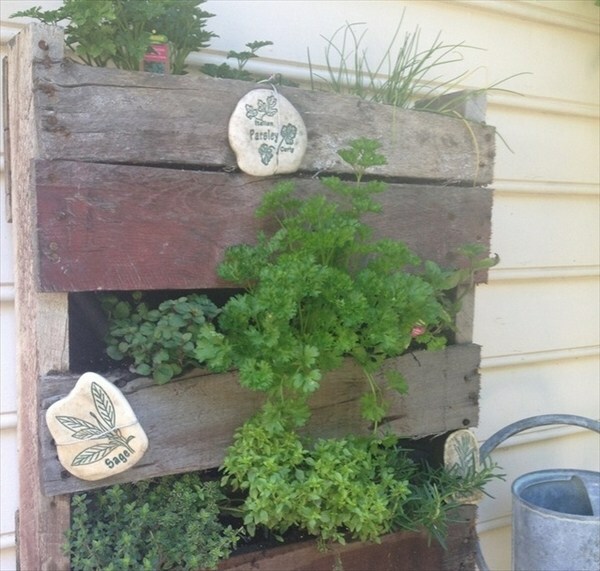 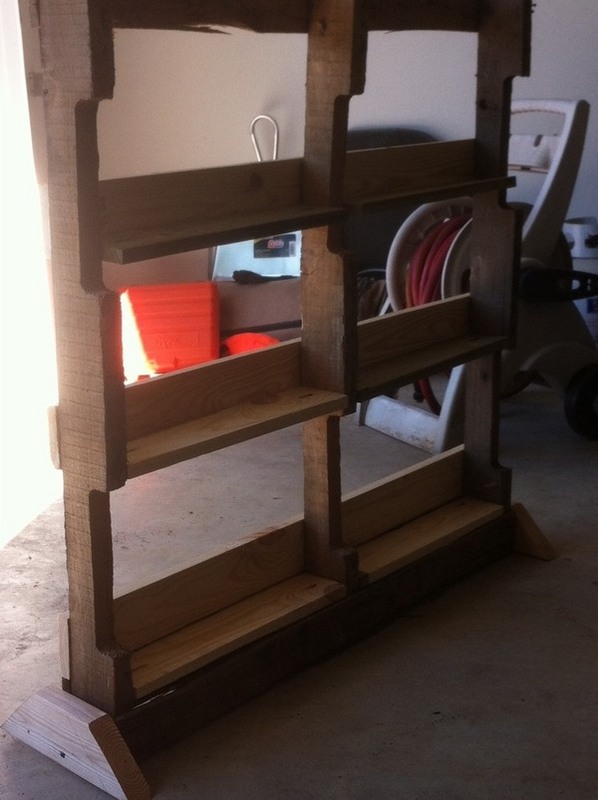 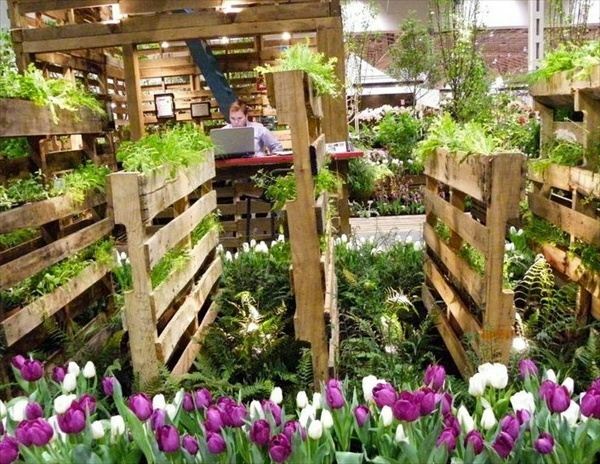 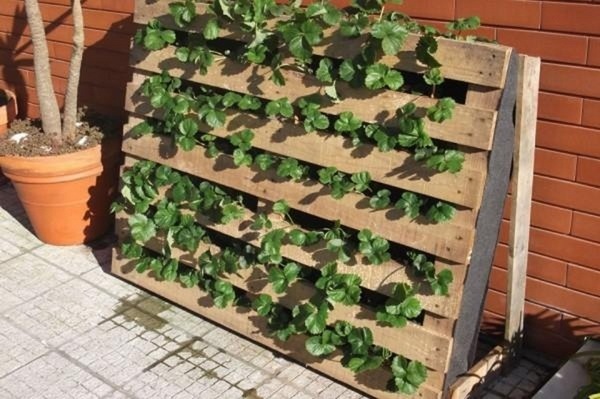 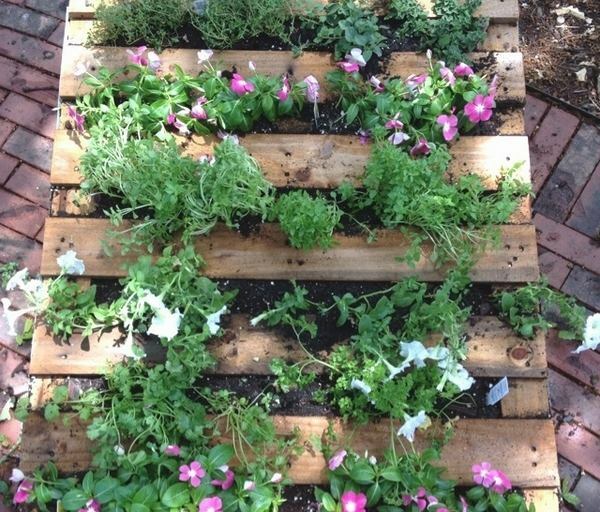 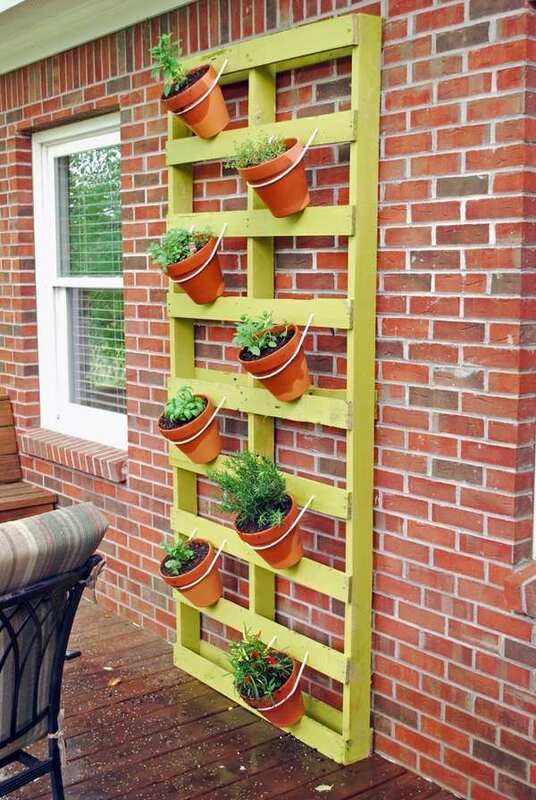 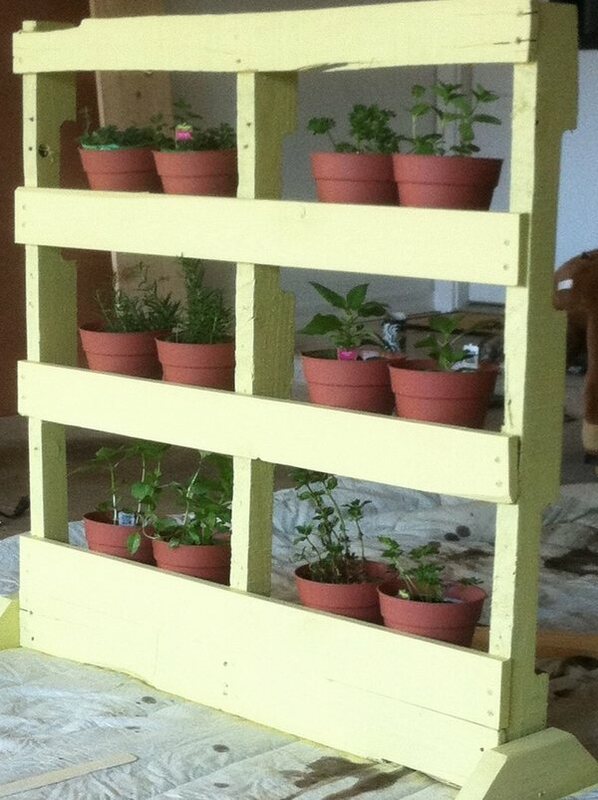 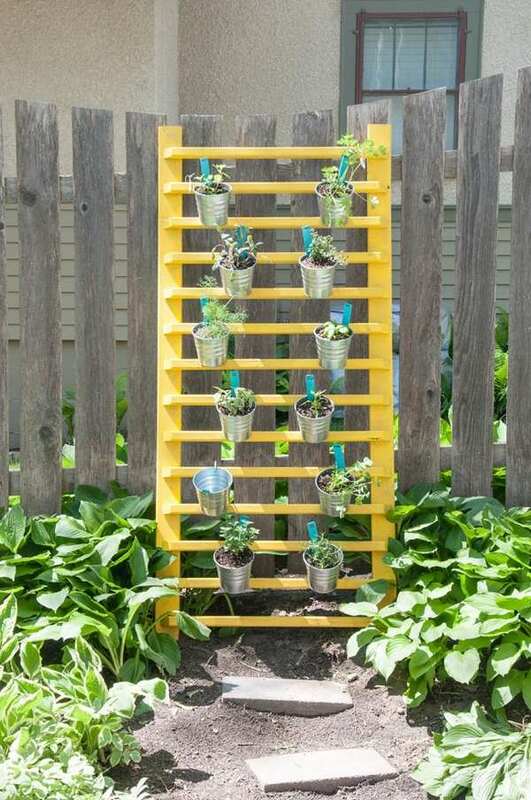 To start your DIY project for a vertical herb garden you will need a wooden pallet. 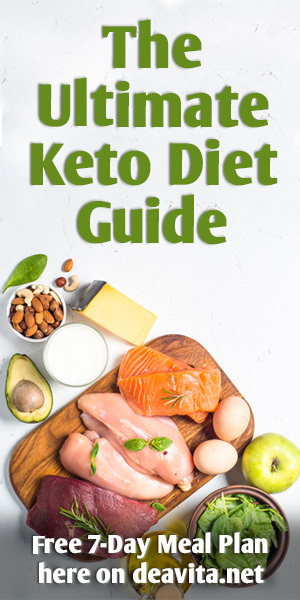 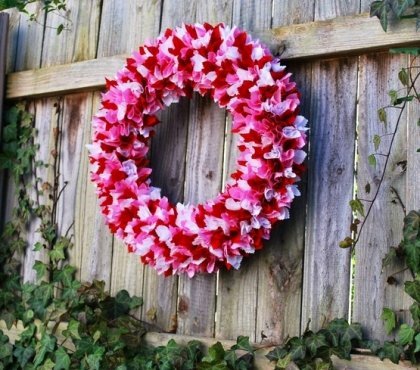 These cost almost nothing and can be found easily. 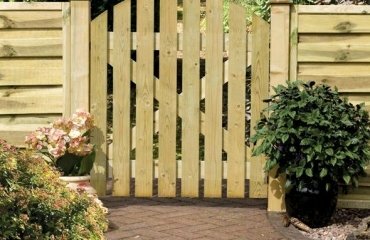 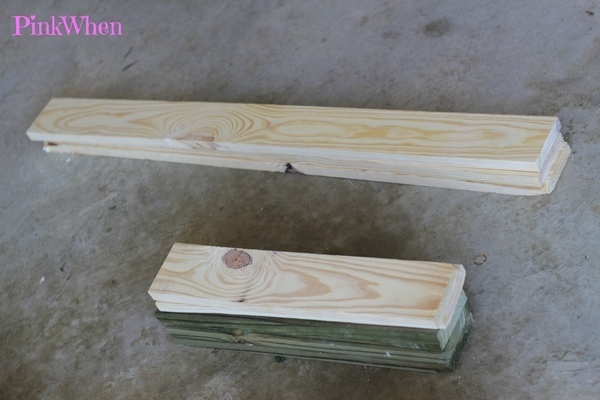 Remove any broken slats so you may use the wooden frame. 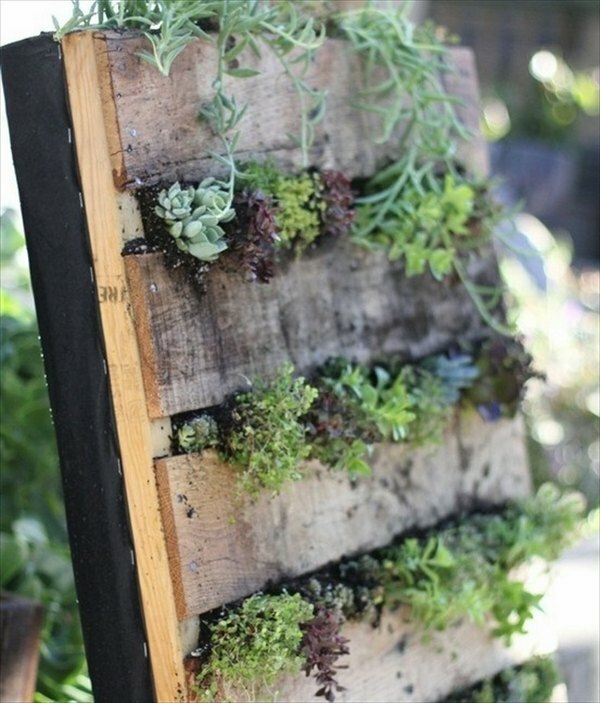 Replace the broken ones with new boards. 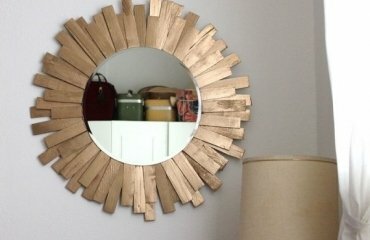 If you look around, you may already have them from a previous project or buy them from a craft store. 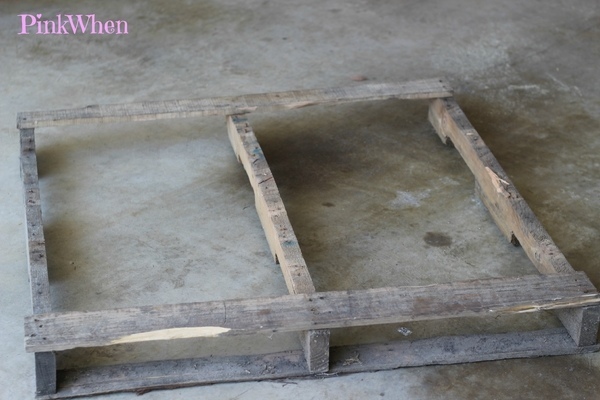 Make holes on the wooden boards and attach them to the frame of the pallet. 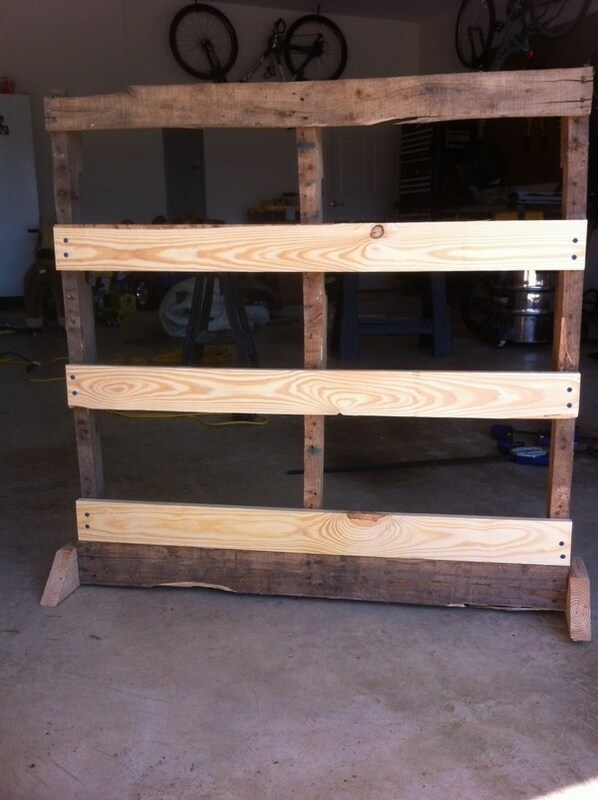 In this way you will have new stable shelves. 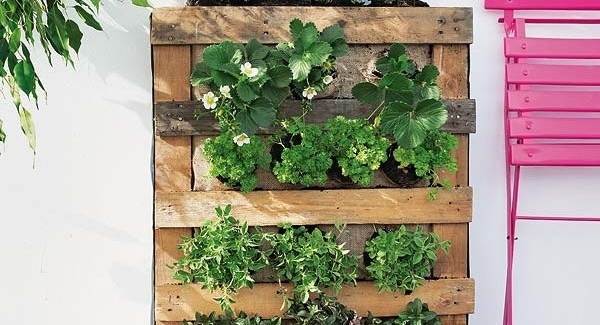 Add feet to the pallet so it is able to stand in vertical position. 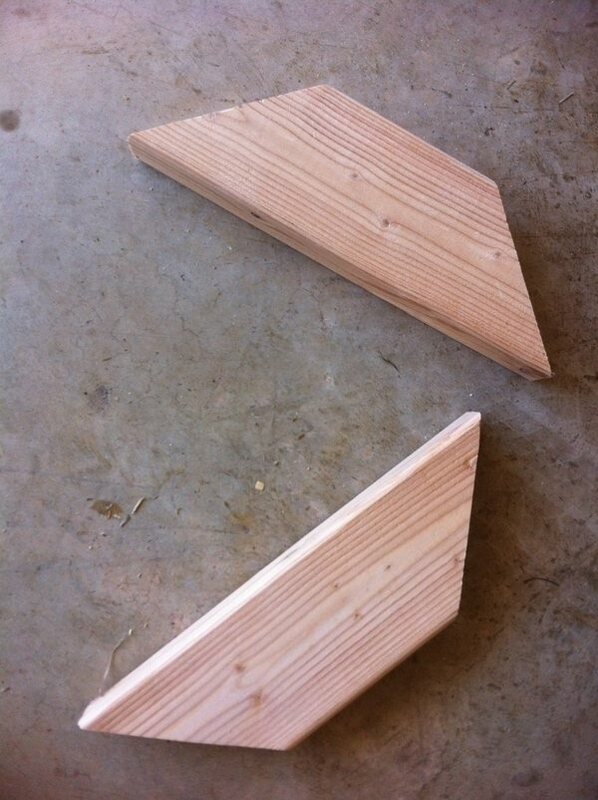 You will need two pieces of angled boards which will perform as feet. 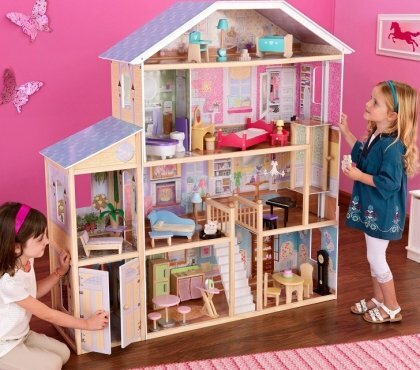 Make sure they are stable enough and will be able to support the whole construction. 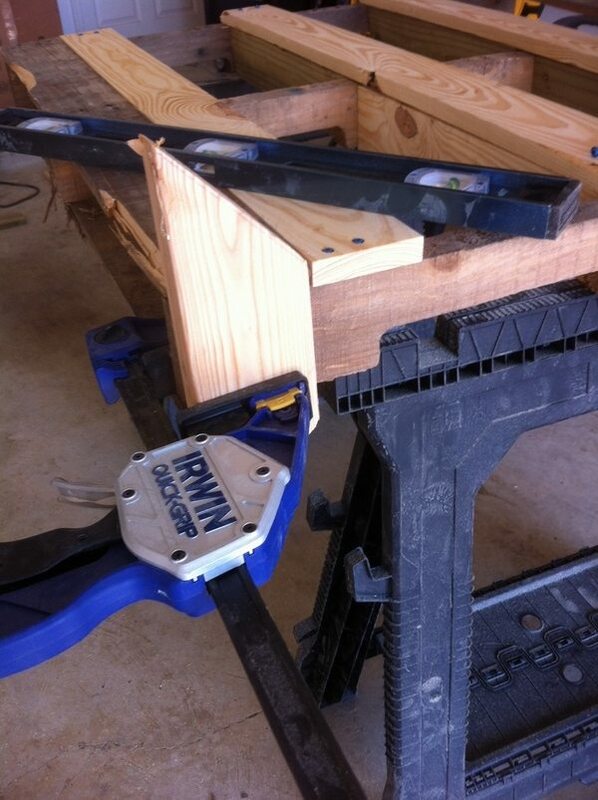 Use a clamp tool to fasten the angled boards to the bottom of the construction. 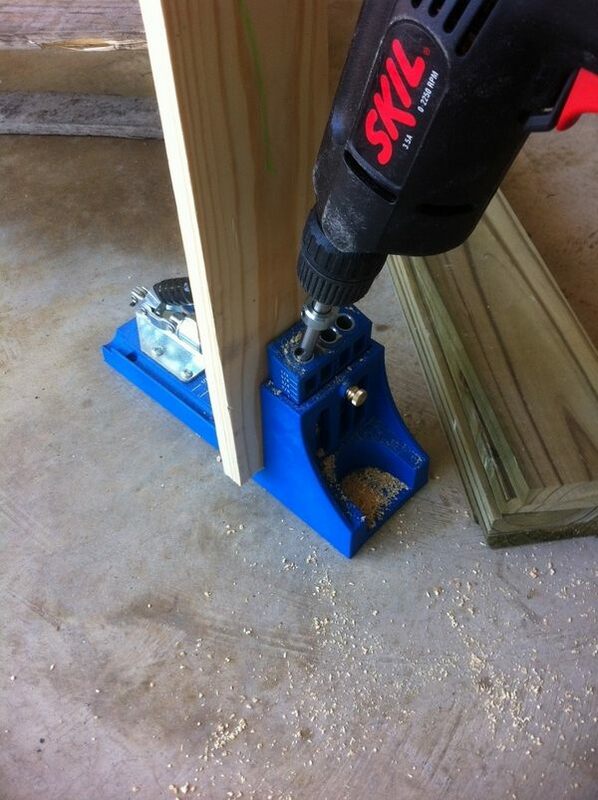 Check with a level if you have attached them correctly. 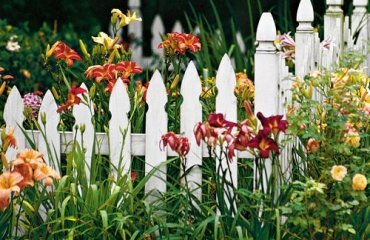 Your construction is ready and you may proceed with decoration. 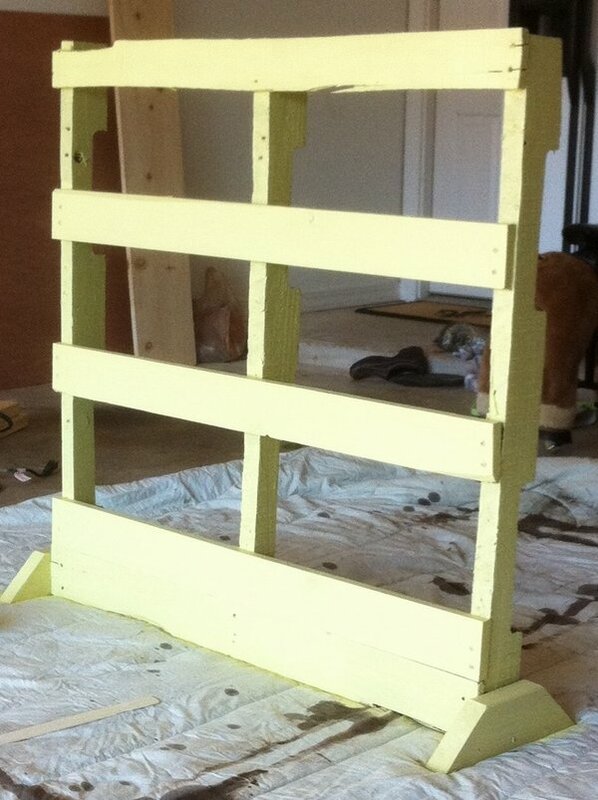 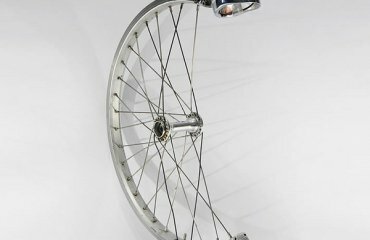 Paint the frame in a preferred color. 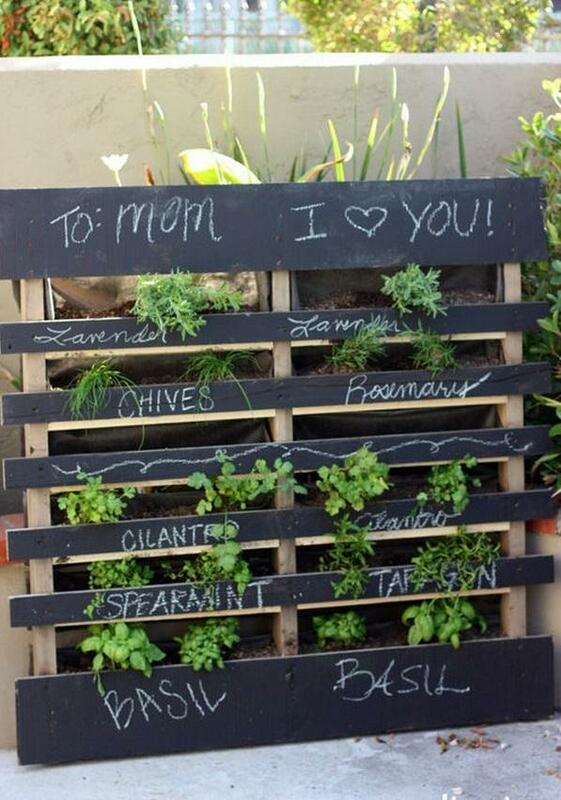 You may use spray paint, or any other leftover that you may have available. 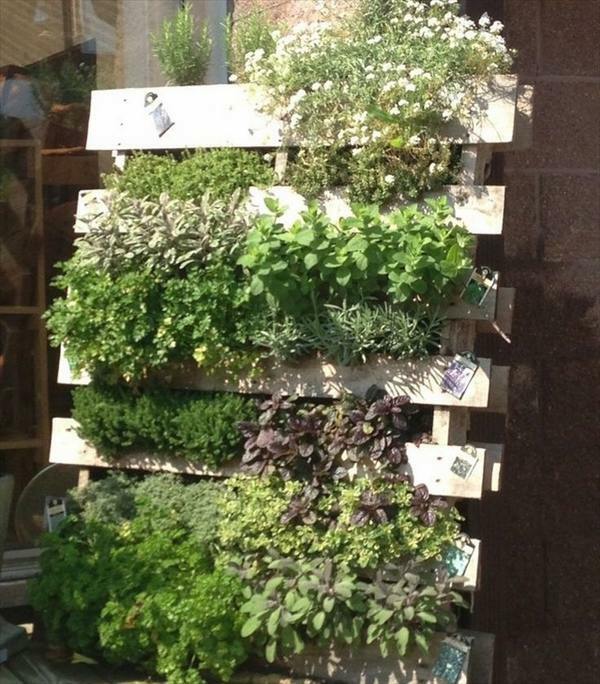 Add pots with herbs on the shelves.